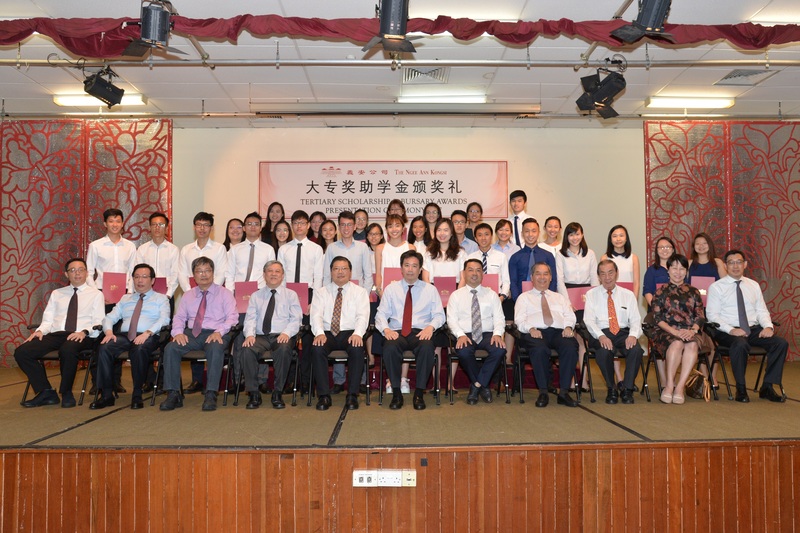 The Ngee Ann Kongsi gives out scholarships and bursaries annually to deserving Teochew students. 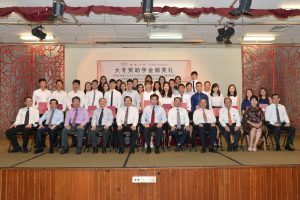 Scholarships are given to students with excellent academic results, strong in co-curricular activities and display leadership qualities. Students with good academic results and who are in need of financial assistance may apply for the bursaries. Who are eligible for The Ngee Ann Kongsi Tertiary Scholarships/Bursaries? and of good character and conduct. 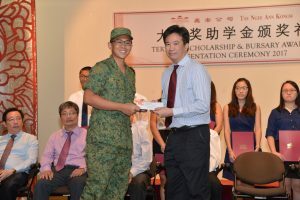 (B) Singapore / Ngee Ann / Temasek / Nanyang / Republic Polytechnic. 3. Student applying for bursary must attain a pass for each subject. 4. 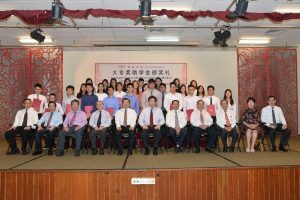 Student must only apply for Scholarship or Bursary and not both. 5. Application from student in receipt of CDC/CCC/MOE bursary may be considered by the selection panel. NOTE: The Scholarship/Bursary is not automatically renewed for subsequent academic years. The Scholarship/Bursary shall only be used to pay the tuition fees. Only shortlisted applicants will be notified by email to attend the interviews. NOTE: Failure to attend the interview is deemed as withdrawal. 1. National Registration Identity Card – (NRIC, front & back). 3. Proof of admission to Polytechnic or University (for 1st year students only). 4. 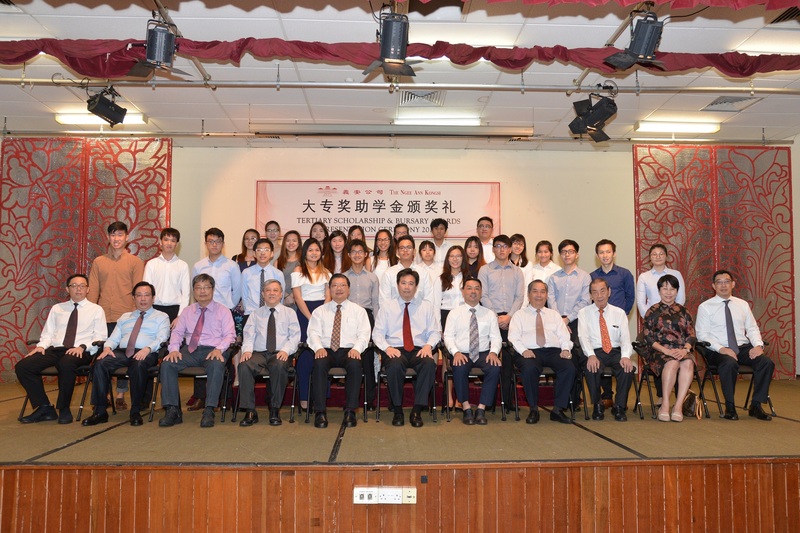 Singapore – Cambridge General Certificate of Education “O” Level Certificate and/or Result slip or equivalent. 5. Singapore – Cambridge General Certificate of Education “A” Level Certificate and/or Result slip or equivalent. 7. Testimonials, co-curricular activities record, proof of awards received, etc. d) CPF statement of the past 12 months (if a, b, c are not available). For self-employed family member, please attach a self-declared income letter. 1 Tampinese Street 32, Singapore 529283. Successful applicants who failed to attend the award ceremony without a valid reason shall be deemed to have withdrawn their applications. Applications open on 1st June 2018 for AY2018/19. Early, late, incomplete applications will not be considered. Please refer to our FAQs , or email us at nak_tsb@thengeeannkongsi.com.sg, if you have any queries.